Disana knitted wool romper. 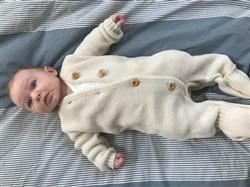 Natural, organic baby outfit. 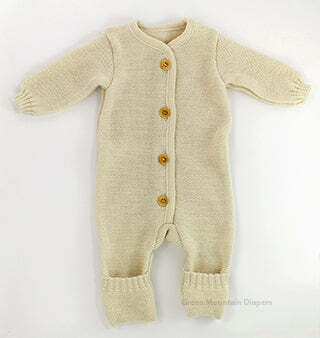 Beautiful and soothing fine merino wool in a romper style that works with car seats. Wool does not need washing often, but when it is time to wash it, please wash by hand in a proper wool wash to keep it soft and in shape. Made in Germany. Merino is SO much nicer than sweaty polyester! Wool naturally regulates body temperature. No sweaty feeling in wool. Baby's temperature is right, and thus baby is more comfortable and we think happier. 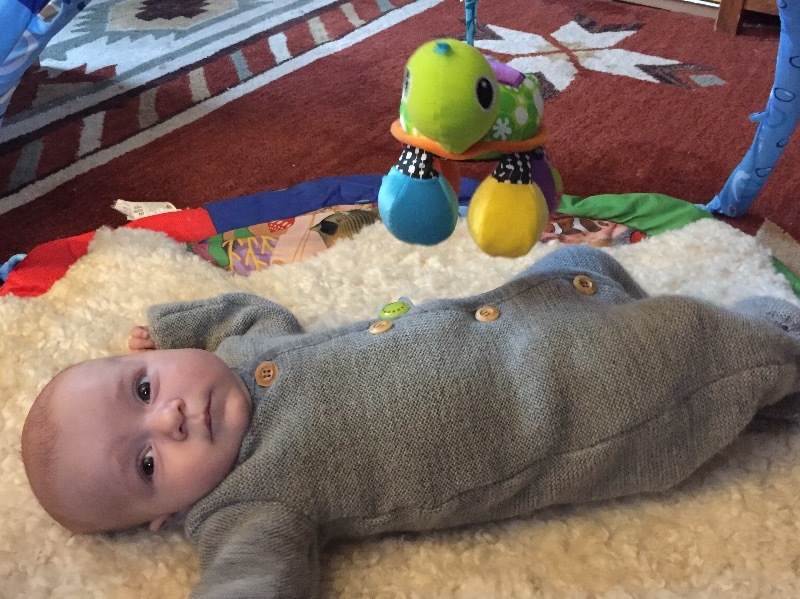 In my experience, babies soothe in wool. 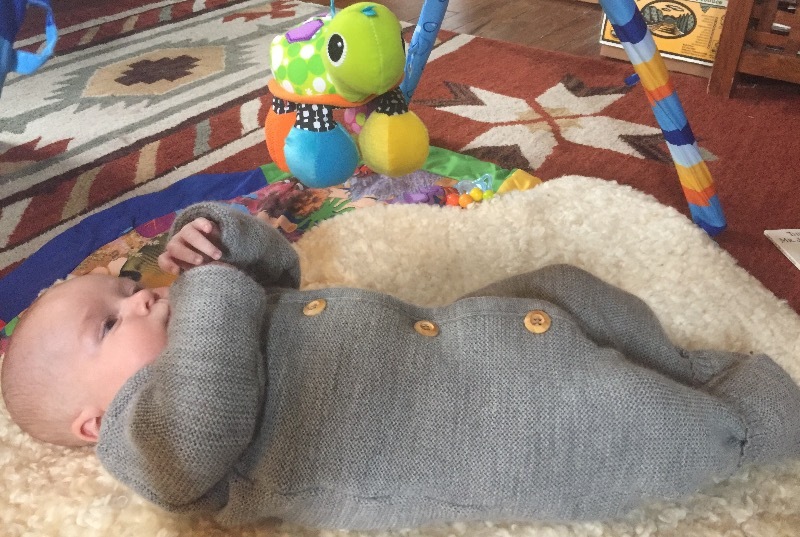 Generations of experienced moms agree that babies love wool. No, it's not itchy. It is lovely. Babies love it. Summer baby? You still need to dress baby. 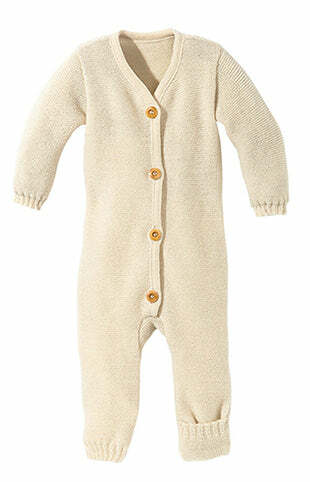 Protect baby from drafty air conditioners in a wool romper. Rompers work for any season. Size 62/68 age 2 months. A little big but it works. Booties picture is to show rose pink color more accurately. The dusty pink has some brown tones in it, and it is not purplish at all. Classy and cosy in natural fiber! Love this layer for moving into colder season. Quality wool knit that is not itchy. I put it over a cotton onesie and babe is comfortable and warm. I bought size 62/68 and it fits my 2 month old at about 11.7 pounds/23.5 inches with room to grow. Just love this for my chunky baby. She stays so toasty warm, yet it's breathable so she doesn't get sweaty. Absolutely love Disana products. Seems like good quality. Nice and thick. It’s soft. The legs seem a little short in proportion to the body but maybe it’s different on. 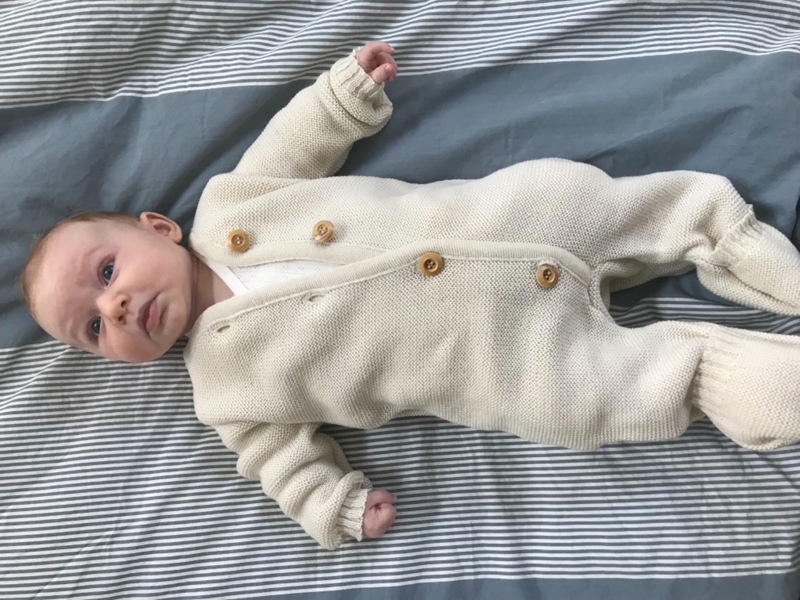 I bought this for my newborn so we could get out while it's still cold. It keeps him warm, and is so gosh darn adorable! The wool is incredibly soft!